Anti-spam: What is five plus two? The Pittsburgh Post-Gazette called Mr. Keevican a "middle-market merger maker" and "one of Pittsburgh's busiest mergers and acquisitions attorneys." In fact, Mr. Keevican has led the firm in orchestrating over 400 transactions and serves as the firm's leader for its Mergers and Acquisitions, practice. 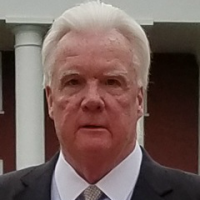 During his more than 30 years of practice, Mr. Keevican has completed transactions involving operations or companies throughout the United States, Europe, Asia, Central and South America and Australia. Under Mr. Keevican's leadership, the firm has launched ancillary services to provide additional professional services to its clients. In a Chicago Tribune article entitled, "Law firms take steps out of the box," Mr. Keevican was quoted for being among the first law firms in the country to establish ancillary services. Among his accomplishments in his legal practice, Mr. Keevican has had extensive dealings in the steel, rail and printing industries. Mr. Keevican and his Mergers and Acquisitions group represented the private equity purchasers of Rouge Steel from Ford Motor Company. He formed MotivePower, the largest remanufacturer of railroad locomotives in the United States, representing the company in all aspects of its operations; ultimately completing a merger with Westinghouse Air Brake Company to form Wabtec. Mr. Keevican has had extensive experience in the representation of international clients. He organized and developed a U.S. presence for a French-owned manufacturing company and served as its general counsel, negotiating over $400,000,000 of contracts. He continues to represent a multi-billion dollar Japanese trading company in its mergers and acquisitions, as well as a French/German multi-billion dollar rail industry manufacturing company in its various United States operations. He represented a privately held international manufacturing company in its acquisition of one of Europe's largest railroad wheel and axle manufacturers from one of the world's largest producers of stainless steel. In 1977 Mr. Keevican, together with his partner Michael Weiss, represented the sellers of a large Pittsburgh based industrial company to Kohlberg Kravis & Roberts (nowKRR) Since that time, Mr. Keevican's practice has had extensive involvement with private equity transactions, including representing over 40 private equity and venture capital groups in their transactions, both in the United States, Mexico, Europe and South America. In addition, Mr. Keevican serves as the general counsel to a $400 million family of venture capital funds in their investment activities. The sale of 86 oil and gas wells located in three counties in Pennsylvania to a privately held oil and gas company. The acquisition on behalf of the largest coal company in the United Kingdom, of fifteen coal companies throughout the United States including the negotiation of commercial transactions with many of the leading American utilities. Served as outside General Counsel to a Pittsburgh based vertically integrated oil and gas company with over 1,000 wells engaged in the acquisition, exploration, development and production of natural gas and oil in the Appalachian Basin. Most recently, Mr. Keevican has represented the fastest growing bank in the country since its founding in 2007. He represented the bank in its initial public offering, as well as its acquisition of a large investment management firm. He is a former member of the Board of Directors of the United Way of Allegheny County and the West Penn Chapter of the March of Dimes. He currently serves as a Director of the Shadyside Hospital Foundation. Mr. Keevican is also active in major fund raising campaigns for the Hillman Cancer Center and the Little Sisters of the Poor and Catholic Charities. Mr. Keevican was instrumental in creating the only American-owned ferroalloys manufacturer working with private equity; the State of West Virginia and the United Steelworkers of America to form a 30% ESOP. Carried out a restructuring and disposition program that cut a client's losses and saved it from having to take its Australian subsidiary company through bankruptcy proceedings-all within two weeks of being called in for help. Reorganized a $250 million manufacturer of railroad wheels and axles out of the Allegheny International bankruptcy. Represented a multi-billion dollar distressed private equity fund in the acquisition of the largest SBQ steel bar manufacturer in the United States. Represented a large private equity fund in its negotiations with the Department of Justice and the Federal Trade Commission to acquire a multi-billion dollar fully integrated steel making facility. Represented the receiver in the bankruptcy of a national hockey league franchise by negotiating the interim financing agreements and player contracts and overseeing the efforts necessary to effect the stabilization, marketing and ultimate sale of the team. Assisted in the privatization of a state-owned freight railroad and above ground passenger railway and subway systems in Argentina and Mexico for an American client. Assisted a manufacturer of equipment used to monitor coal-fired boiler emissions in connection with the sale of the business for approximately $20 million to a British company. Represented an international locomotive re-manufacturer in connection with its relations with OEMs (in United States, Canada, Europe and Asia). Represented a high net worth individual in the identification and acquisition of a distressed condominium project that developed into one of the most profitable projects in Western Pennsylvania. Represented a public company that developed systems for use by the electric utility industry with respect to product development arrangements, protection of intellectual property, securing of governmental funding, and creation of strategic alliances and securities law compliance. Served as outside general counsel to an NFL Franchise. Represented individual investors in their investments in an NHL franchise. Represented an individual investor in his investment in a Major League Baseball Franchise. Served as General Counsel to an Arena Football League Franchise.